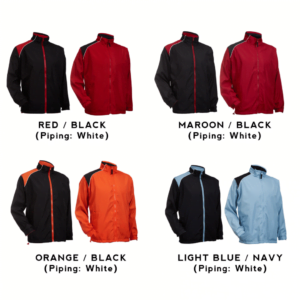 Are you looking for cheap Windbreaker jackets in Singapore? They are great outerwear across all ages! They are comfortable, functional & surprisingly lightweight! Our windbreakers are especially popular among corporate companies. They usually customize these jackets for their own corporate jacket to keep them warm in the freezing office environment. MEOWPRINT carry different ranges of ready-stock custom windbreaker in singapore for you to choose from. There are non-reversible windbreaker and also reversible windbreaker, in which you get 2 for the price of 1! Talk about savings! Our Recently Customized Windbreaker Jackets for inspiration! Have you ever asked yourself,“where to buy windbreaker in singapore?”. Well, you can definitely customize and get them from us! 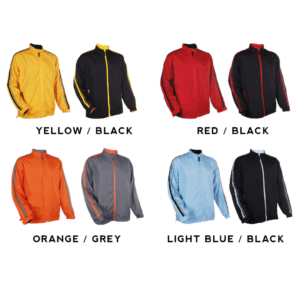 You can choose quality windbreaker from our catalogue and customize them. 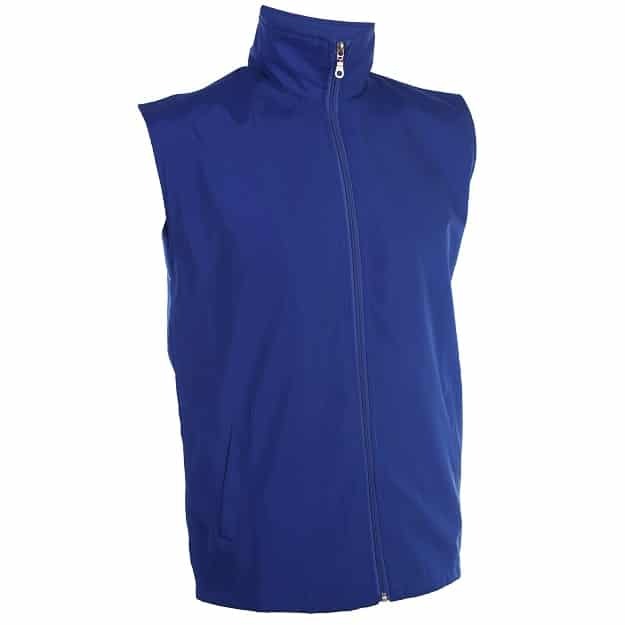 For example, reversible and non-reversible windbreakers have different method of printing recommend for each product model. 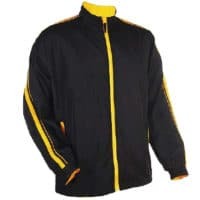 Learn more about customizing windbreaker jackets below such as type of printing customization available, uses & many more! 1. What is a Windbreaker? 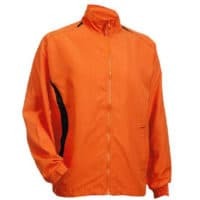 A windbreaker, also known as a windcheater, is an outerwear lightweight jacket designed to resist wind and also be waterproof. 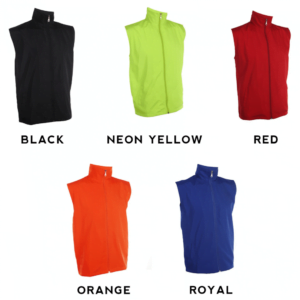 These jackets are usually made from breathable high density polyester fabric, designed to keep you warm. 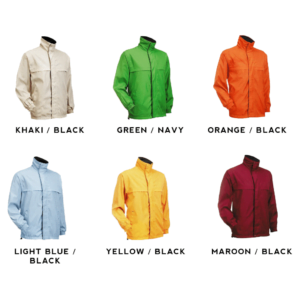 We are a windbreaker jacket supplier in singapore that carry different colors of ready-stock windbreakers! They are all unisex which means that they fit both windbreaker womens cutting & also the male cutting. 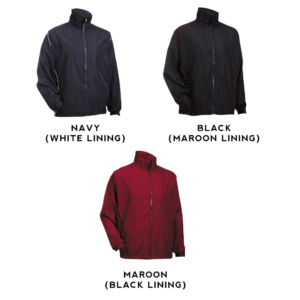 We are confident you will find a windbreaker jacket suited to your needs in our huge range of catalogue! We recommend these 2 printing methods as they work really well on the windbreaker jackets! 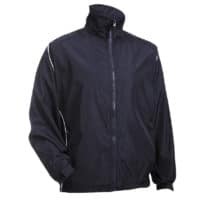 Windbreaker Embroidery – The most popular choice of customization for these waterproof jackets. Embroidery adds professionalism & class for the apparels and they are very durable! Windbreaker Printing – The only way we can achieve printing for windbreakers is via Digital heat transfer printing method. This means that we will print out your windbreaker print designs on a layer which will be heat-pressed onto the jackets. Silk screen printing, however, is not feasible because every windbreaker product has an inner lining. This lining will cause the apparel to shift during screen printing process making it not feasible to silk screen ink print on the windbreakers. 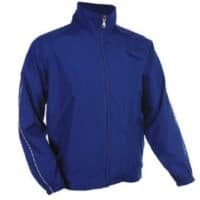 There is a large area of imprint to print your unique windbreaker designs. Most of our customers prefer to choose the left chest and back positions to imprint their designs for customization of the windbreakers. Some may also go for sleeve printing or embroidery. It’s ultimately up to you! 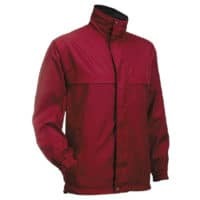 When you purchase wholesale windbreaker jackets in Singapore with us, you will be able to print windbreakers in bulk at cheap prices so you can save on marketing costs! You could even get corporate t-shirts if your savings fit into your budget! Even if you are looking for smaller quantities, do not worry! Just head over to the windbreaker catalogue and get instant price quotations in seconds, today! 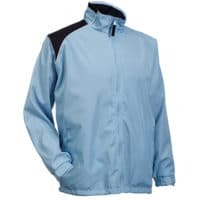 The ready-stock windbreaker jackets that we carry in our catalogue is mainly to suit the needs of our customers in Singapore, which are mostly used as a form of identity in schools, groups and corporate companies. However, this does not mean that windbreakers has only one benefit – to resist wind and be waterproof. Since Singapore is so hot, windbreakers are not the choice for a fashion statement. However, in other countries where winter season occurs, windbreakers are very popular. They are functional to keep people warmer, but at the same time, as an apparel fashion statement. If you’re looking for something unique, we can also provide custom-made apparels service, with a minimum of 100 pcs! Check out the inspirations for windbreakers as Fashion statement below! 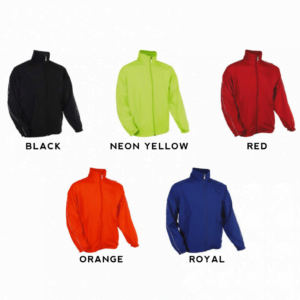 Nike windbreaker – The top sports brand in the industry carries functional, versatile, yet fashionable windbreaker. 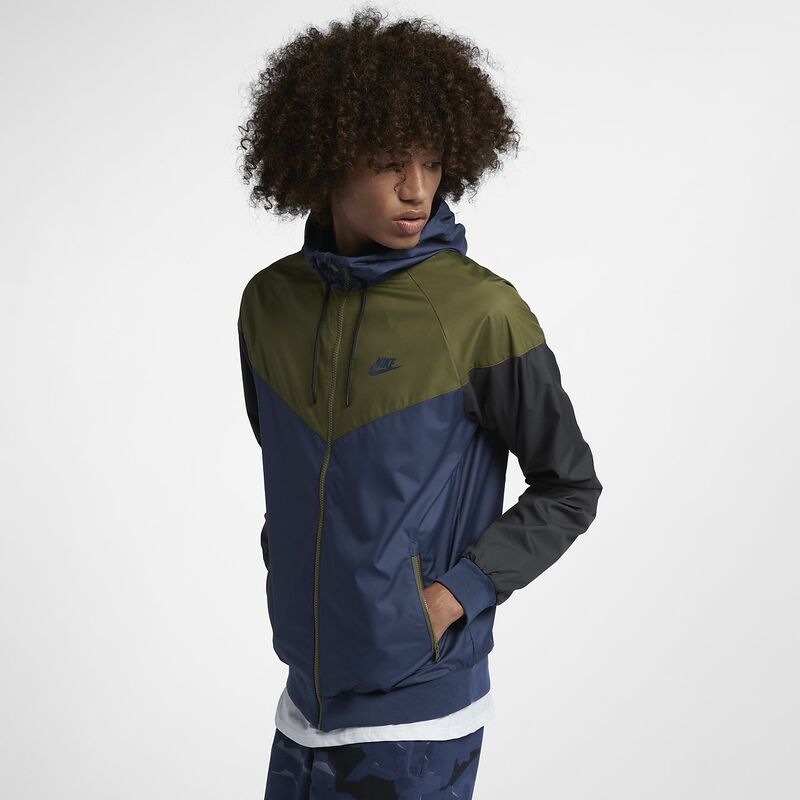 Check out their best-seller Nike Windrunner Men’s Jacket below. Adidas windbreaker – The next top sports brand as well, known to carry sports range that is fashionable, worn by many celebrities. Uniqlo windbreaker – The leading apparel brand from Japan that incorporates technology to disrupt the clothing industry. Check out their windbreaker uniqlo offers. 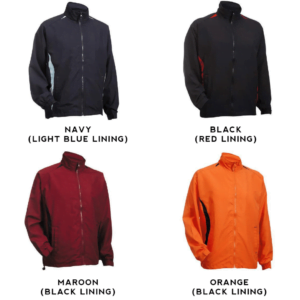 North face windbreaker – A familiar top brand that create apparels for the cold seasons. Check out their premium quality apparels with great functionality – yet fashionable. We hope the list above gives you inspiration on your fashionable windbreaker look! Although not all cutting is achievable due to it’s complexity, get in touch with us to achieve your T-Shirts & apparels customization!